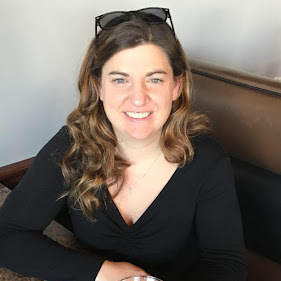 I recently met a wonderful stay-at-home turned work-at-home mom, who owns a store that specializes in all natural and eco-friendly baby products, Up On the Hill. Upon discussing a review and giveaway opportunity, the owner recommended I try one of their cloth diapers, the Kawaii Baby Pure & Natural. This diaper is ideal for baby from 0 to 15 months. Made of soft and durable TPU fabric. Thermoplastic polyurethane (TPU) is a composition specifically adapted to produce non-porous membranes exhibiting waterproof and water vapor transmissible. High performance, durable, excellent water-resistant, cut and tear resistance and soft. Inner layer is made from a super soft suede cloth, which wicks moisture away from babies skin and keep bottom dry. The Cover has a pocket opening located in the back inner layer to accommodate the microfiber inserts, once stuffed it is just like an (AIO) ALL IN ONE Diaper. The cover itself can also be use as a diaper cover over your favorite prefold or fitted diapers. 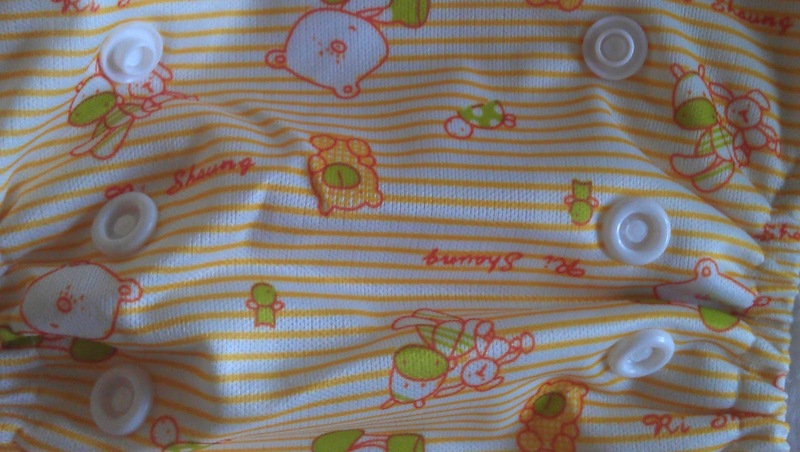 There are 3 rows of snap buttons on the outer cover that will transform the diaper from small to medium and to large. Fit from 6-22lbs. The Inserts (or soaker pads) are made from 100% unbleached microfiber. The material has many tiny strands and is environmentally friendly. It has 40x more absorbent surface than cotton and is less bulky. They are soft and easy to clean. 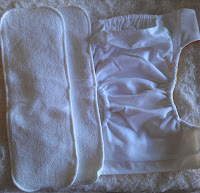 We include 2 Aborbent microfiber inserts in each diaper – one for daytime and the second for nighttime or heavy wetter. The Cover/Outer Layer is made from a new and improved Thermoplastic Polyurethane (TPU) Laminated Fabric. This fabric is highly water resistant, breathable and very durable. 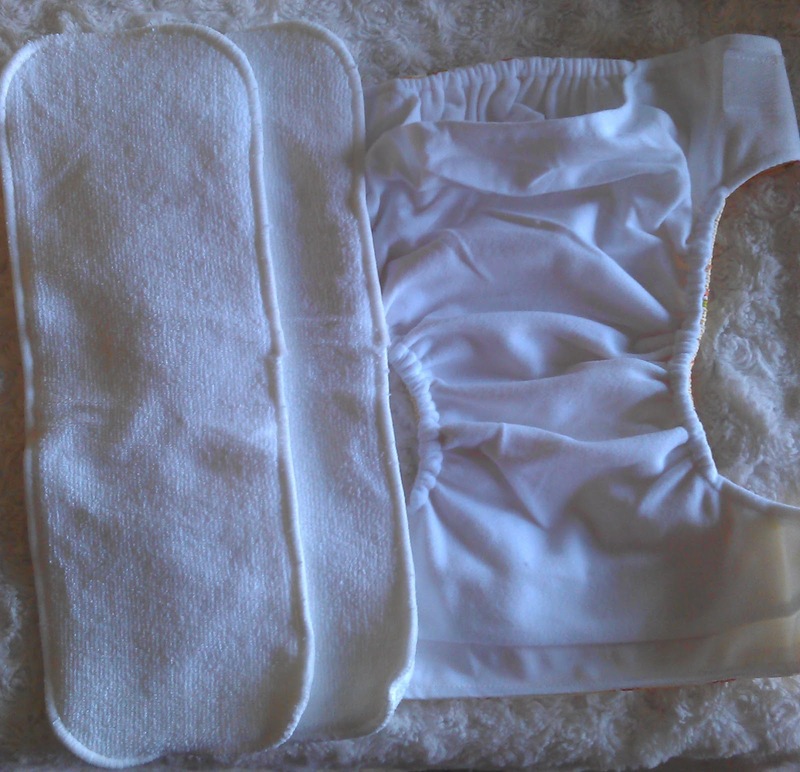 The inner layer is made from a super soft suede cloth, which wicks moisture away from babies skins and keep bottom dry. The Cover has a pocket opening located in the back inner layer to accommodate the microfiber liners/inserts. When stuffed, it is just like an (AIO) ALL IN ONE diaper. 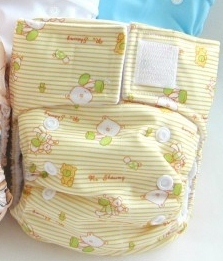 The cover itself can also be use as a diaper cover over your favorite prefold or fitted diapers. This cloth diaper already comes with fold-back laundry tabs, an extra piece of loop tape that lets you fold the hook part of the tab back for washing. By folding the tab back and securing the hook part of the tape, you can keep the hook tape from catching on other diapers in the washer. Folding the tab back also lessens lint buildup in the hoop tape and prolongs the life of the fasteners. The diaper can be adjusted to fit a baby weighing from 6-22lbs. An easy and flexible Velcro fastener can be folded down from the waist to create a even slimmer fit. 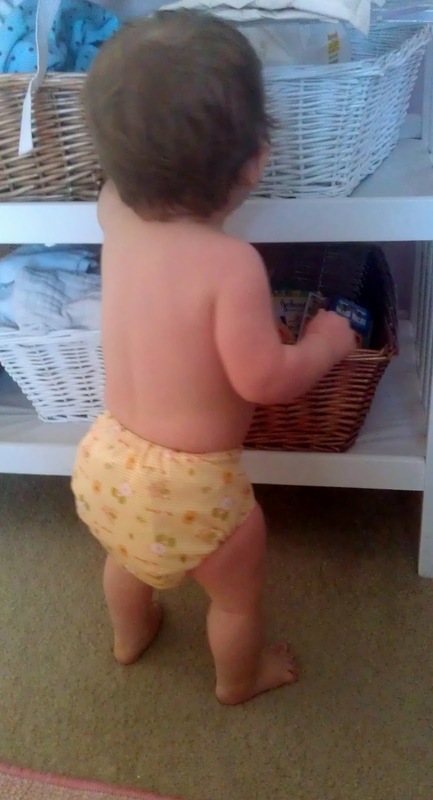 I am still a newbie to cloth diapering, as I have only tried one (very popular) brand prior to this diaper. Upon initially receiving the diaper, I noticed two things: look and feel. This diaper was really cute on the outside and I felt like it truly was gender neutral, which is important to me as I believe that baby items should be used for more than one child if possible. Once I got past the nice design, I couldn't get over how soft every piece of this diaper is. From the outside of the cover to the inside and don't get me started on the microfiber inserts. I honestly considered hoarding them to sleep on at night they are so soft!! 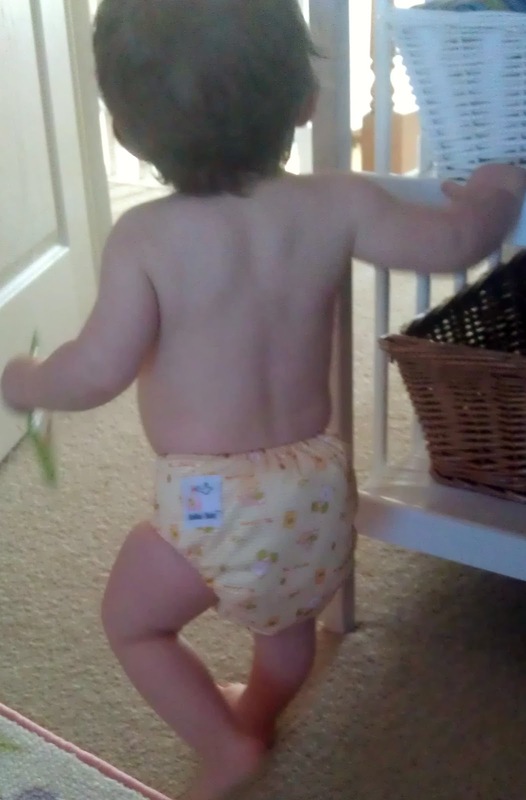 After properly prepping this diaper I tried it out on my daughter (9.5 months, 19 lbs.). My biggest issue with my previous cloth diaper experience (another brand) was the fit didn't work (too tight) for my son and left these awful red marks on his legs (he wasn't a big baby at all). This diaper was completely different! I only used one insert for the first run and it fit so perfectly! I could tell that she loved it too as she was strutting her stuff all over our house. Now, I know the biggest thing you are thinking is "Did it keep her dry?" The answer is "Absolutely!" In fact, we were able to keep her in it for a few hours through a nap, with only one insert, and you couldn't even tell it was wet! The second time we used it, she decided to really leave us a treat and it was really easy to discard the waste in the toilet. The only thing that I would consider doing to try and extend the use of the cover is to lay the microfiber insert on the inside instead of stuffing the pocket or using prefolds. Other than that (which is really a personal preference, not a complaint) my overall experience with this diaper was wonderful! It is economical, easy to use/wash and very well designed. The last thing I want to mention is how affordable this diaper is! For $8.50 you receive (1) cover and (2) inserts! Amii at Up On the Hill is kind enough to offer (1) Kawaii Pure and Natural Diaper - Comfy Baby Style to one of my lucky fans! 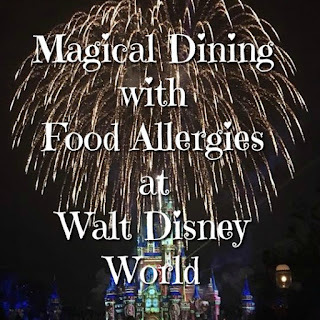 Just simply use the form below to enter! I would use this for my 7 month old son. We are just starting out with cloth diapers! for my little neice due febuary 2013! This would be for my 8 month old daughter. My daughter is getting ready to turn 8 months. Where has the time gone! Just picked one of these up at the store and loved it! The price is so wonderful and I agree about the softness, so comfortable. I have a 3 month old baby boy and would love to win this. Thanks for the consideration! My daughter is 15mos, but on the small side. We love Kawaii diapers! my daughter is 14 months old, so it may just fit her...but we're looking to start trying for our second baby and this diaper would go to good use with him/her! Waiting for baby girl to arrive. Six days ago :( So any minute now right? My baby is 18 months! my daughter is 5 months! My baby is due in April. this would be for my newborn due in february! and for outings with my not 100% trained 2 year old. This would be for my sisters newborn! I will probably use it eventually for my daughter who will be born probably in January. Would use on the next baby. 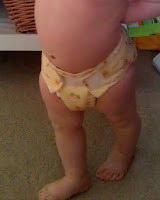 Need smaller diapers for the next one because we didn't use cloth when our LO was a newborn. not here yet!! I am thinking of using these for night time when I get my little one. I have heard Kawaii is a very good brand for overnight! My little man is 6 months old! We LOVE Kawaii diapers! My baby is due in April! I would use this for my ten month old, and her younger sibling due in March. I would use this for my newborn that is coming soon! I'd use it on my 2 year old daughter.